We all desire glowing, healthy hair! Most people desire to have healthy, elegant hair that can wow the crowd and make them feel confident in their appearance. We want our hair to pop and make them drop what ever is in their hands. That's right she has entered the building with style, class, and knowledge. It does not matter if we have long or short tresses; as long as it is healthy! There are some key elements to healthy hair ! We should eat right to maintain the proper nutrition for our hair. Hair growth is effected by proper intake of protein, biotin, and vitamin A. We should always aim to eat a very nutritious meal because it has an effect on various aspects of our hair, nails, skin, and body. We may exercise to keep the blood circulating properly in our bodies to help nourish our hair. Learn how yoga can help your hair, blood circulation , and stress. Get protein treatments when needed to strengthen the hair. Make sure to invest time into getting and keeping your hair healthy. Correcting damaged hair doesn't happen over night, but it can be corrected in most cases. 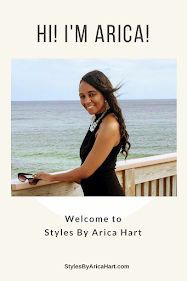 You can find my hair styles & information on my blog & social media sites! 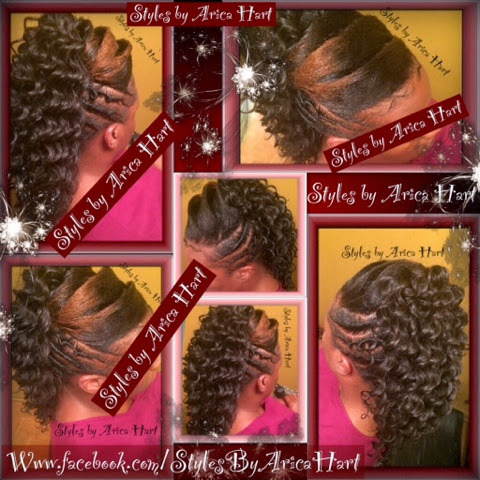 If you love hair, Follow " Styles by Arica Hart" on Facebook, Pinterest, Google +, YouTube, & Twitter. Be blessed!